The 420 now utilises the same frame as the 500cc models. The frame is 20 percent stiffer than before. Meaning your ATV can really handle the tough stuff. 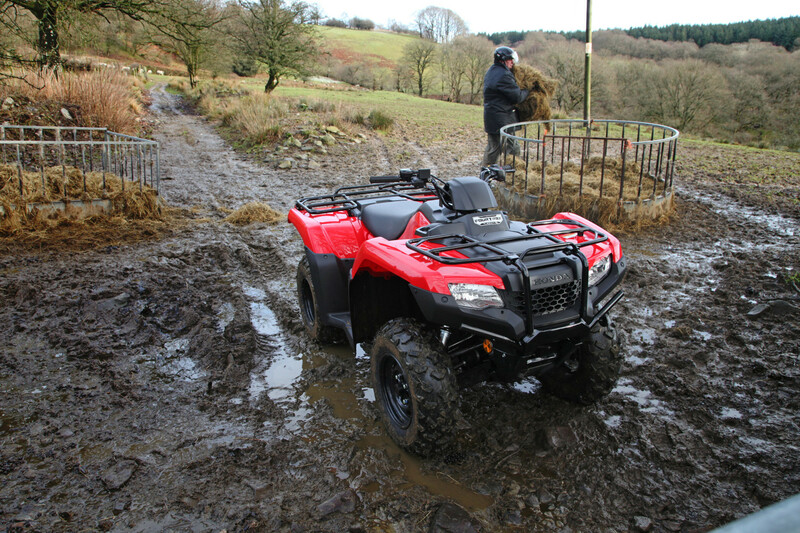 The TRX420FM1 is one of Honda’s most loved and biggest selling ATVs and now it’s even better. It’s your do-everything benchmark seller with a fuel-injected 420cc, OHV liquid-cooled engine and a strong 5-speed manual transmission. 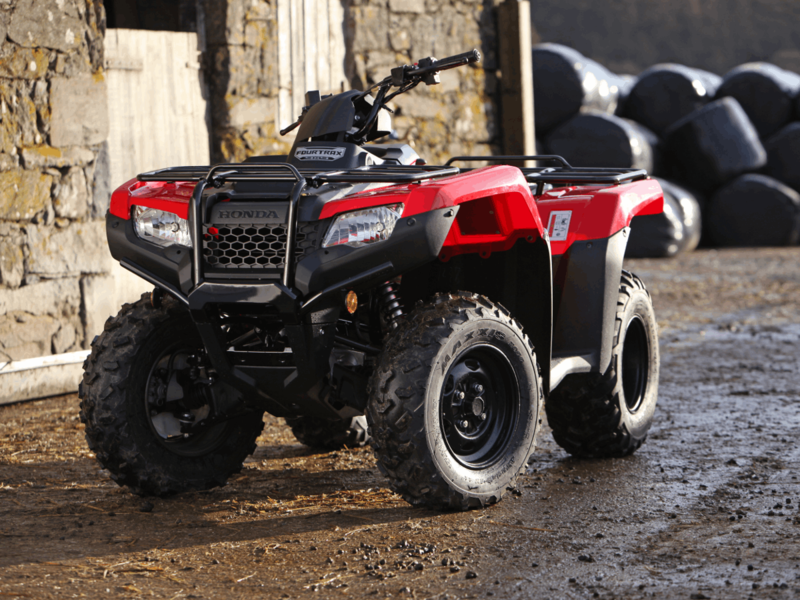 This ATV has all the features to make easy work of hilly terrain. The Programmed Fuel Injection system improves power delivery and throttle response. It also increases fuel economy so you can cover more ground out on the job. 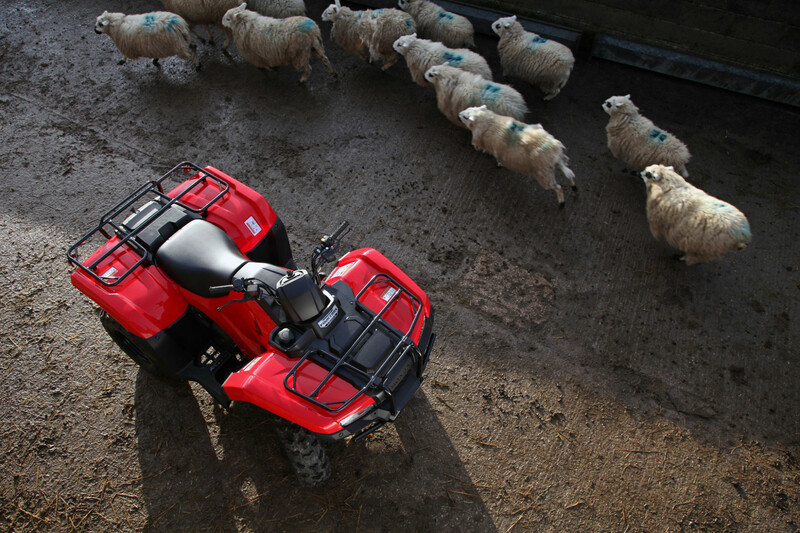 Front and rear suspension systems feature generous travel for a plush and controlled ride. The enclosed-axle type swing arm improves durability, the 420FM1 is ready for anything. This offer only applies to new Honda TRX420FM1 models and is available from 1st March to 30th April 2019. Bike price shown excludes GST. Standard warranty conditions apply. Available at all participating authorised Honda dealers while stocks last. *Honda Dollars includes GST. 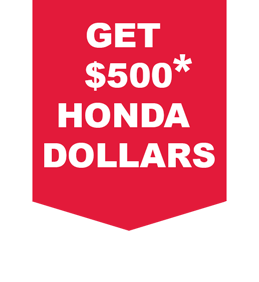 Honda Dollars can only be used on Genuine Honda products or services at authorised Honda motorbike dealers. Honda Dollars must be redeemed before 30th June 2019 and cannot be transferred or exchanged for cash.